We were delighted to welcome our guest lecturers to Belfast. This year’s guests continued the tradition of excellent, informative and entertaining addresses to the Meeting. 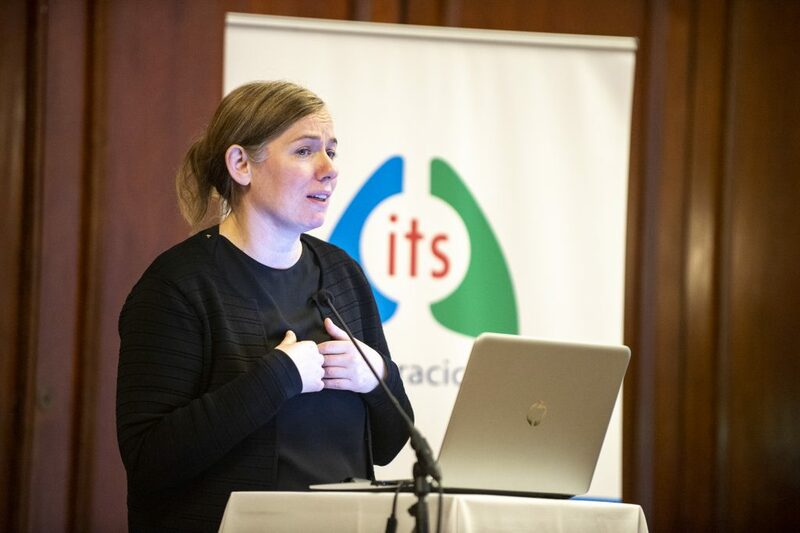 Special highlights included: a lecture on Care Pathways in Mesothelioma by Dr Ian Woolhouse, Consultant Respiratory Physician at University Hospitals Birmingham and Chair of the BTS Lung Cancer Specialist Advisory Group; a lecture on Demystifying Challenges in the Management of Idiopathic Pulmonary Fibrosis by Professor Martin Kolb, MD PhD, Director, Division of Respirology, Moran Campbell Professor and Chair in Respiratory Medicine, McMaster University, Canada; a lecture on The Greatness Within by Mr David Crosby, Double Lung Transplant Recipient and Marathon Participant, who was followed by Professor Karen Redmond, Thoracic and Lung Transplant Surgeon, Mater Misericordiae University Hospital, Dublin, with her lecture: Lung Transplantation: Beyond the Ordinary. 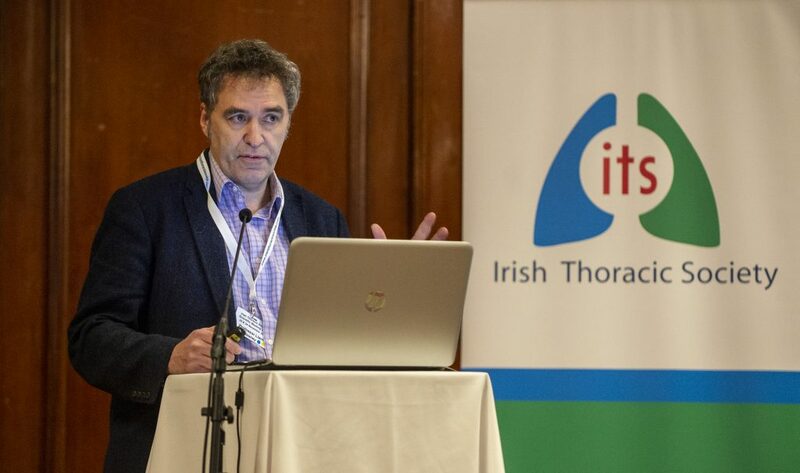 Professor Liam G. Heaney, Professor of Respiratory Medicine, Centre for Experimental Medicine, School of Medicine, Dentistry and Biomedical Sciences, Queens University Belfast, addressed the Meeting on New Developments in Asthma Management. 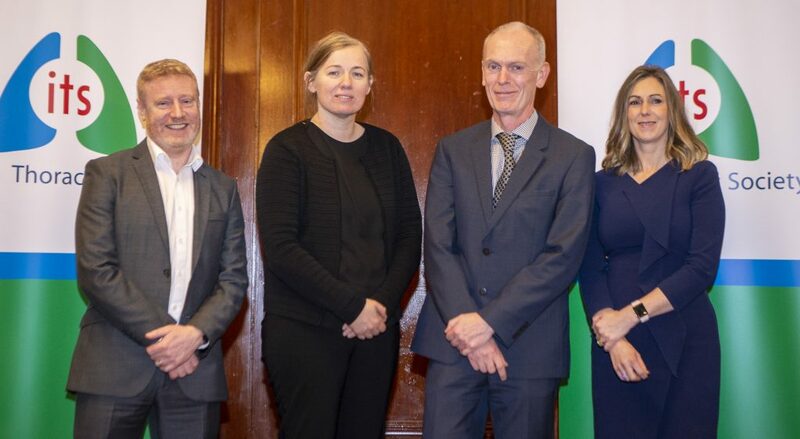 Pictured (l to r) are; Dr Jacqueline Rendall (Belfast City Hospital & ITS Local Organiser), Dr Kate O’Reilly (Mater Misericordiae University Hospital), Professor Martin Kolb (MD PhD, Director – Division of Respirology, Moran Campbell Professor and Chair in Respiratory Medicine, McMaster University, Canada), Dr John Lindsay (Belfast City Hospital & ITS Local Organiser) & Mr John Barron (Boehringer Ingleheim). Pictured are (from l to r) Mr David Crosby (Double Lung Transplant Recipient and Marathon Participant), Professor Karen Redmond (Thoracic and Lung Transplant Surgeon, Mater Misericordiae University Hospital, Dublin), Dr Rory Convery (Craigavon Area Hospital & ITS Local Organiser) and Dr Jacqueline Rendall (Belfast City Hospital & ITS Local Organiser). 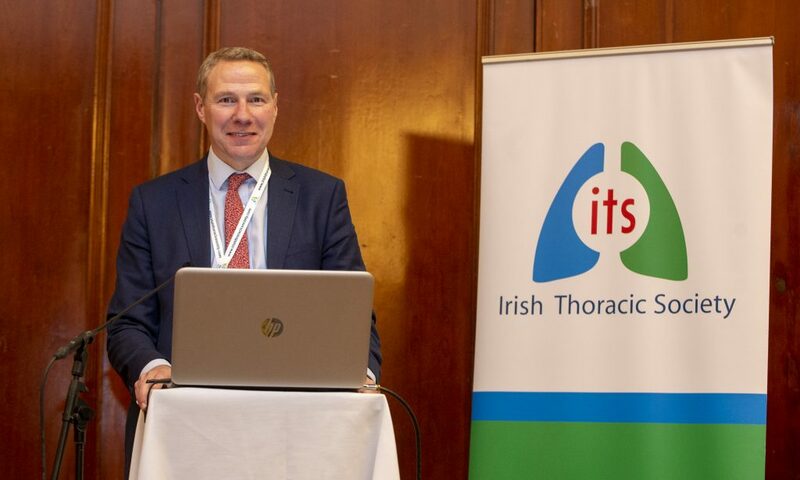 Pictured is Professor Liam G. Heaney, Professor of Respiratory Medicine, Centre for Experimental Medicine, School of Medicine, Dentistry and Biomedical Sciences, Queens University Belfast.